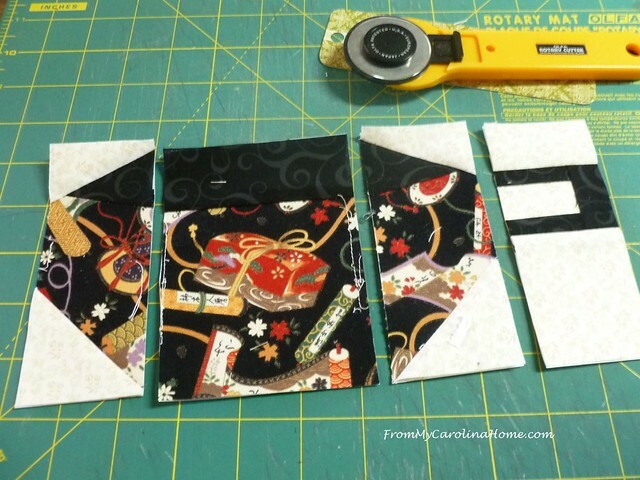 The next pattern in the Teacups Quilt Along series goes back to paper piecing. In the spirit of Christmas, I found this one that kind of reminds me of packages for the tree. Of course, for me that means fussy cutting for the main part of the teacup. 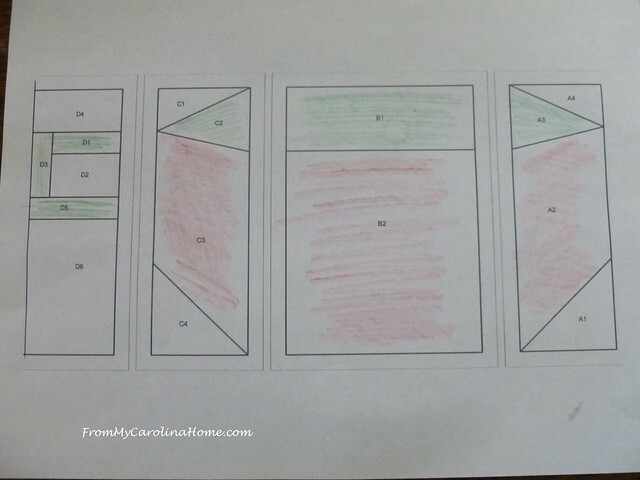 Piece each section separately. 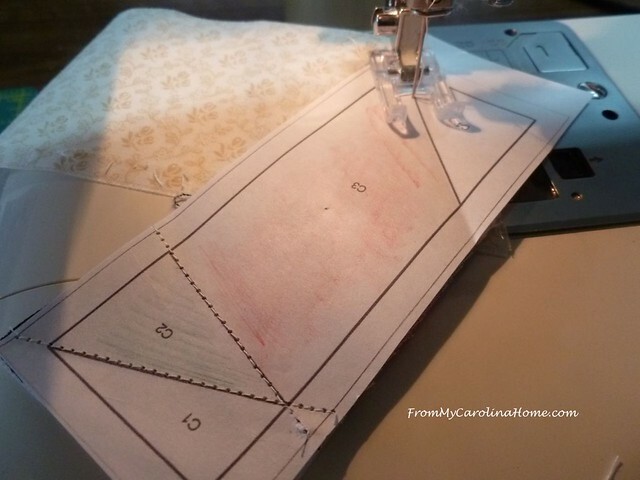 If you need a refresher, click on Paper Piecing Basics and Tips. Sew on the lines and flip. When you have all the sections sewn, put them together paying attention to the joining points for the inside and outside of the cup. 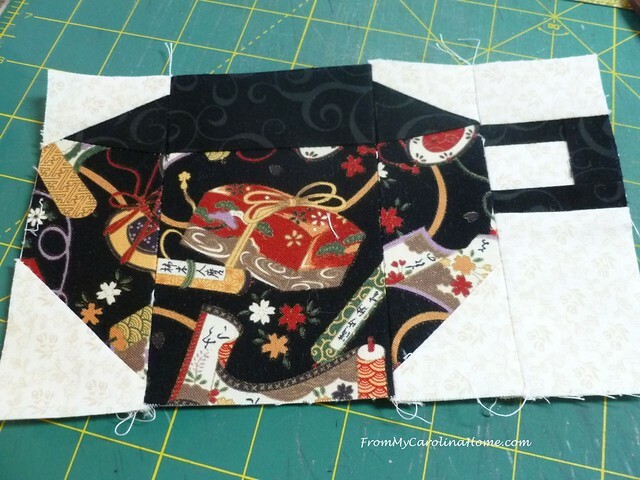 All done with the paper piecing part, it looks a bit funky, but we are adding a bit. 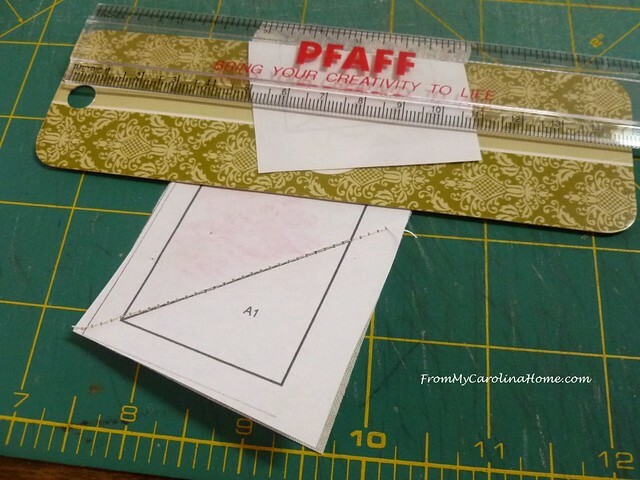 Cut two background strips 2-inches x 8 inches and add one to the top and one to the bottom. 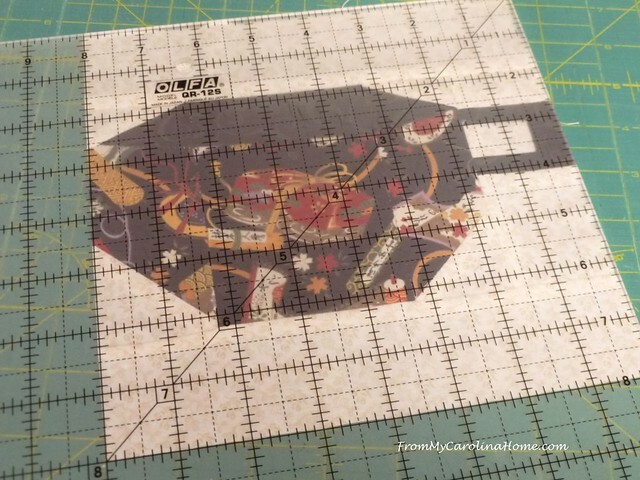 This should make the block 8-inches square when you are done. Trim if needed. For the future, I will be using these books for paper pieced patterns. Both books have the identical patterns so you don’t need both. There are at least two more patterns from the book I want to use. 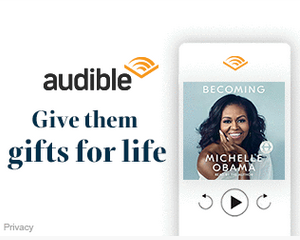 If you don’t have one of the books, and you don’t want one, you can substitute anything, even just a block of teacup fabric. Cups and Saucers revised edition on Amazon, OR Cups and Saucers first edition. If you are just now finding the quilt along, or you missed one, click on Teacups Quilt Along to see all the blocks so far. Next time we will do a different technique. 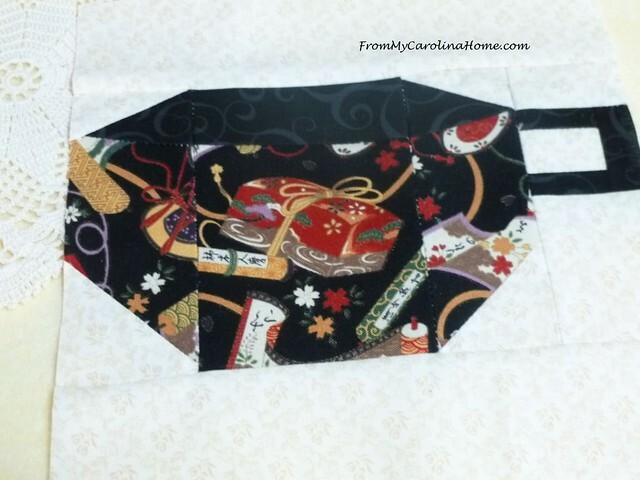 Are you keeping up with the Teacups Quilt Along? 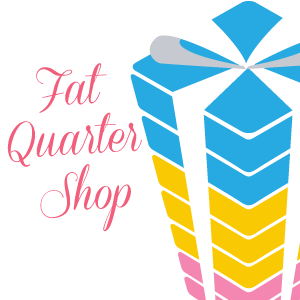 Fat Quarter Shop has super Countdown to Christmas Flash Sales this month. Starting December 10, there will be super specials every day until Christmas! Plus, the Jolly Box is on sale too, limited number left! Many of these items are exclusives you will only find in the Jolly Box. Pick up more than one for a gift that will “sleigh”! Already a great deal, now 20% Off!! 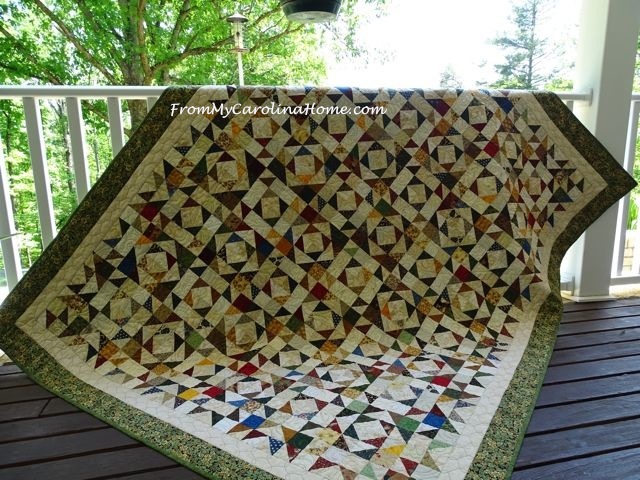 12 Days Of Craftsy – A New Gift Every Day! Stock up for the holidays while you still can! Get the best deals on classes, kits, supplies and more. Celebrate 12 Days of Craftsy — now through December 12.
beautiful! but now you need a Japanese tea cup as well! no handle, and sometimes with a lid and saucer… you are so creative! Years ago I found a pattern to make a teapot shaped curio shelf for the kitchen, now I need to find that pattern and add a hanging rod at the bottom for a small version. I do have the original book you’re taking some patterns from…. the curio I meant to use for my Japanese teapot and cups display. As I do the “watch-along”, this is my favorite one so far! 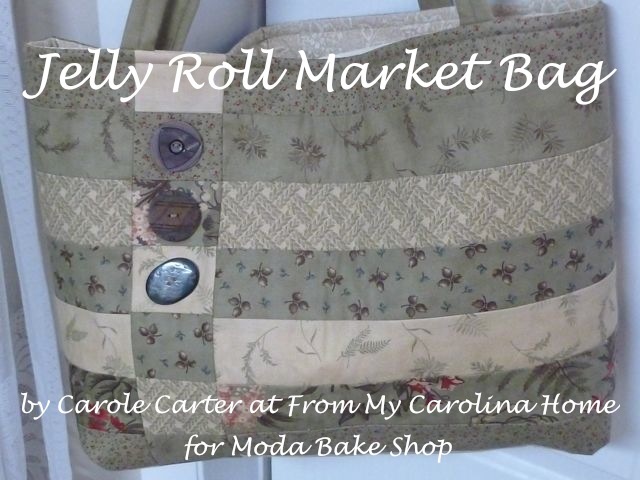 Hello Carole, I am so glad that you posted on the Quilt Along! I have been busy getting quilt tops finished, basted and quilted. I am on my second one, laughing out loud at myself, because it sounds like I have tons done. I have also been organizing my fabric room and everything that goes along with it. I had a ton of fun going through printed patterns from the internet and organizing them into folders. It is amazing how many patterns I have printed and only managed to do a few. Do you do anything similar or just use books, magazines and your own designs? 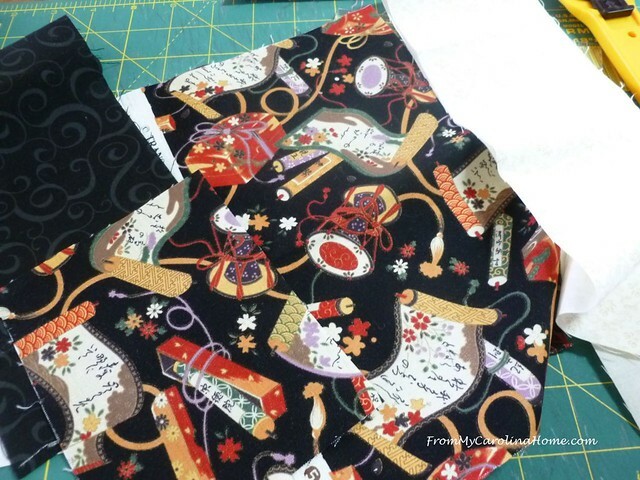 Your new fabric is pretty and looks fabulous as your teacup! 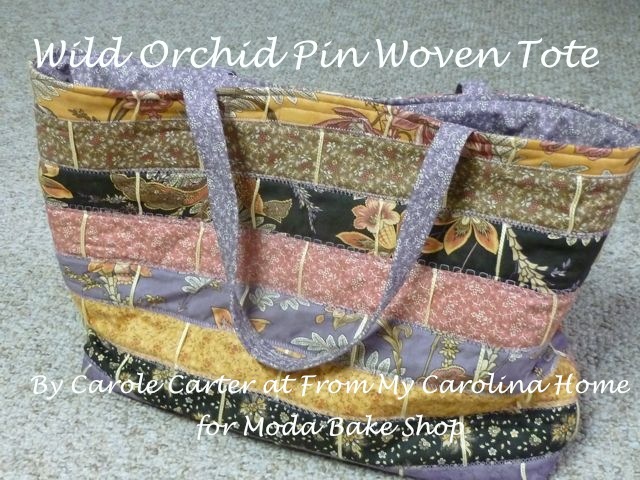 I have been spending a lot of time hand embroidering projects that I started and did not finish also. My goal for the new year is to complete all of the projects I have started and never finished. 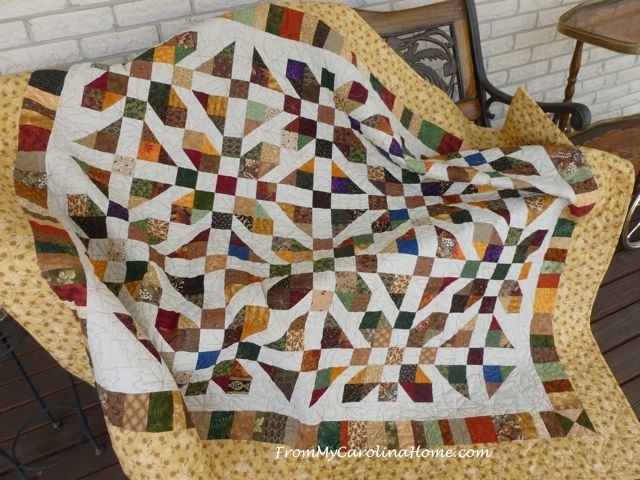 Thank you for sharing this fun quilt along! Have a fabulous day! Hello Carole! It’s been awhile due to life’s circumstances and it’s good to be back! 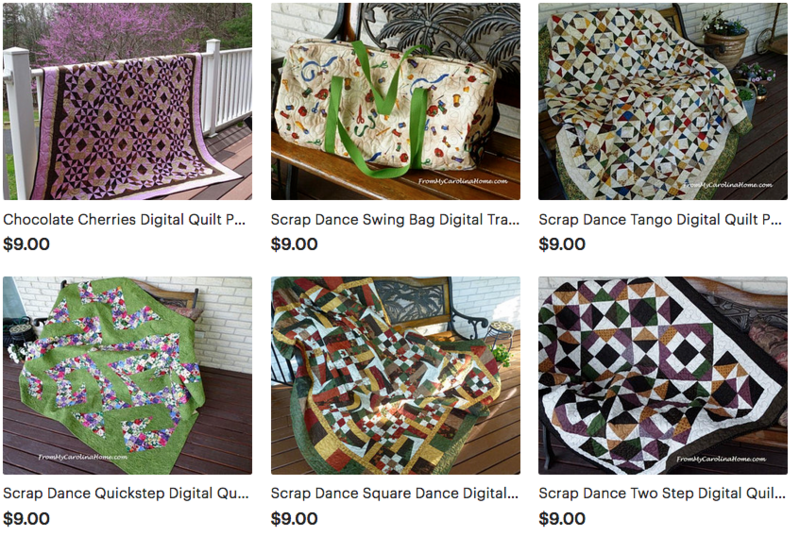 I have updated my page with your links to the Teacup Quilt Along. 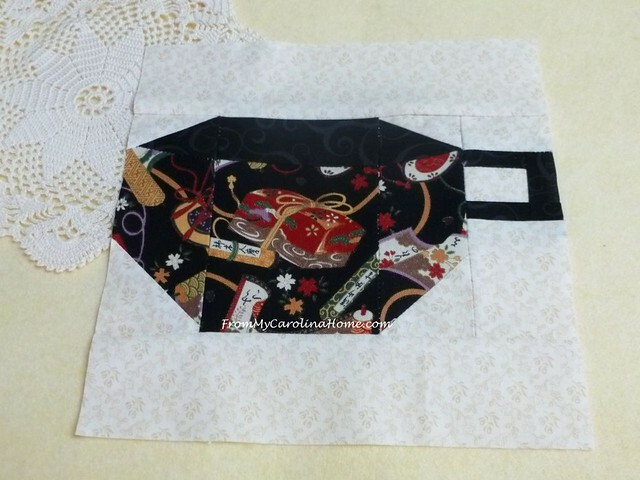 https://faithtrustandbreastcancer.blogspot.com/2018/08/from-my-carolina-home-teacups-quilt.html I hope I have them all posted. This morning I am making kits of all the BOMs I’ve joined (honestly didn’t realize that I would be in 4!) and will be sewing them up soon! I was indeed afraid of paper piecing and now I love it! Thank you for the opportunity to hone my skills! I so appreciate your blog and your time! It printed fine on 8 1/2 × 11 ” paper for me.